I had planned to write this post about the delicious zucchini chips we’ve been making all week. Buuuuut I really need to mention the delicious bacon horseradish dip we made yesterday to accompany them. At first I was concerned that I had made too much of it. 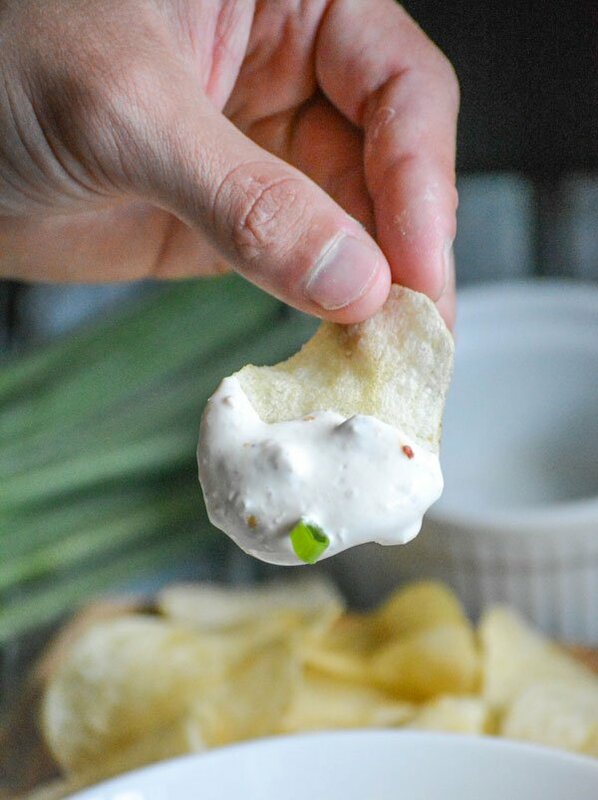 Today though, as I was eating fresh *healthy* chips dipped into this amazing, tangy sauce, I realized that there is no such thing as too much creamy bacon or horseradish anything. 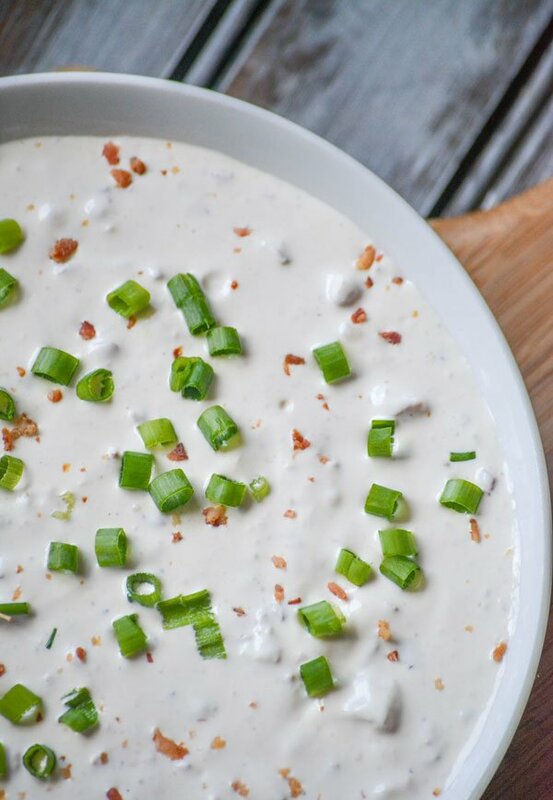 This Creamy Bacon Horseradish Dip is proof of that. 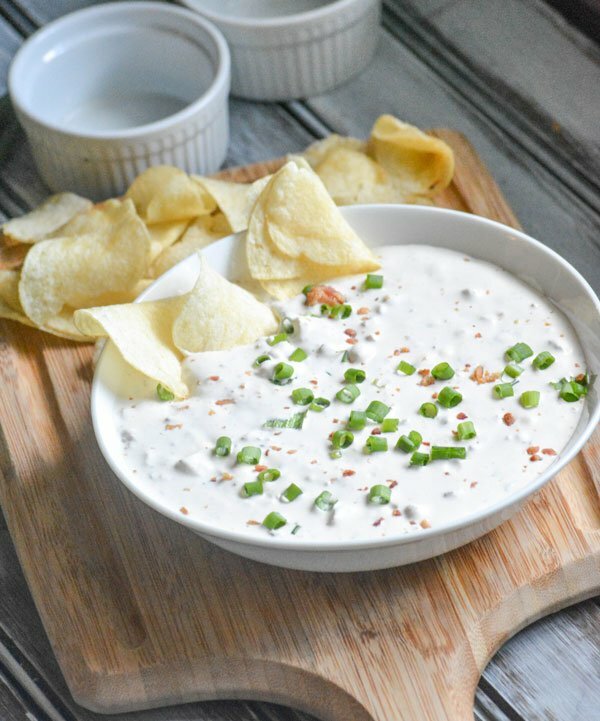 This crowd-pleasing dip gets its smoky, creamy deliciousness from crumbled bacon and smooth sour cream. And its attitude? That’s the horseradish talking. If you’re having a party anytime soon, or anytime at all really, you’re definitely going to want it there. And you won’t have to worry a single moment wondering if you’ve made to much. You’ll have a had time getting guests away from it. But, don’t worry about that either, it’s one heck of a great conversation starter! 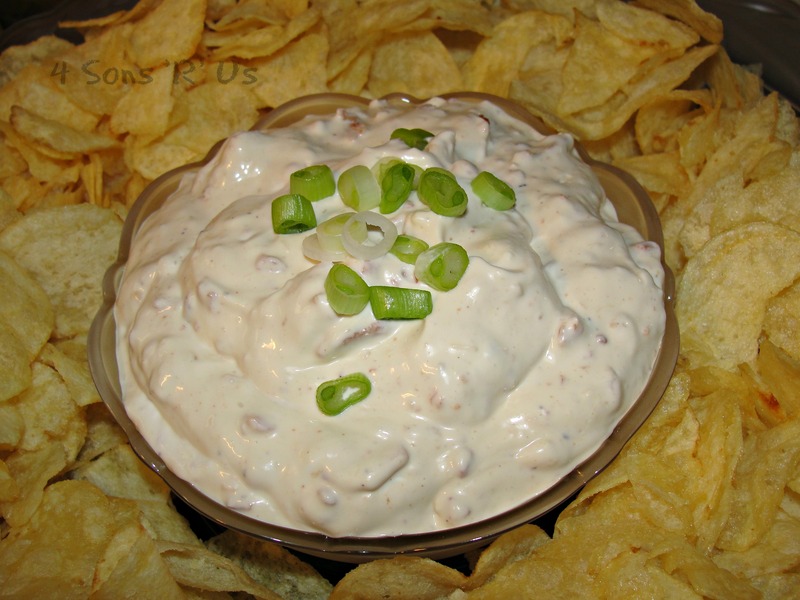 A creamy chip dip featuring savory bacon, a bit of bite from ground horseradish, and a little tang from Worcestershire sauce. 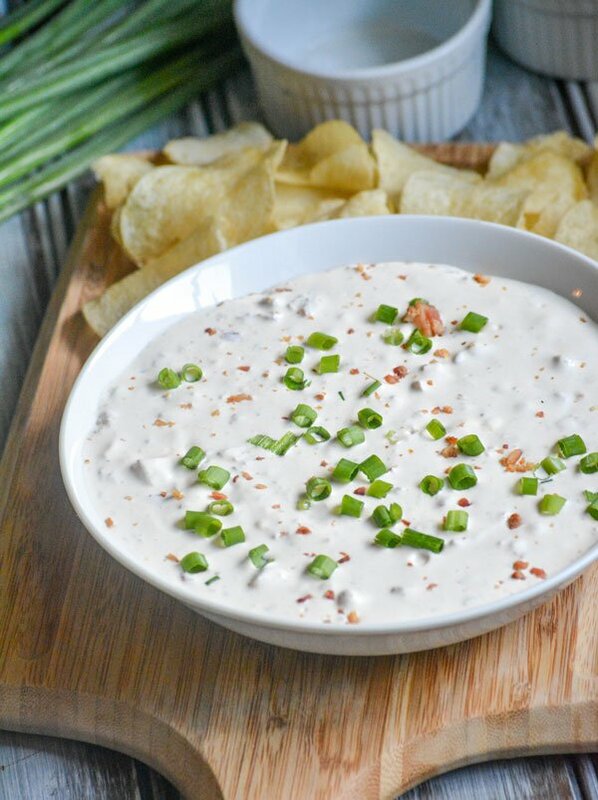 Combine the sour cream, mayonnaise, horseradish, Worcestershire sauce, salt, garlic powder and salt in a medium bowl, stirring until evenly combined. Stir in the cooled bacon. Refrigerate (covered) until chilled, about 3-4 hours. Top with green onions, and bacon crumbles- if desired, before serving. This looks amazing, and just in time for tailgating! Which pepper have you used? 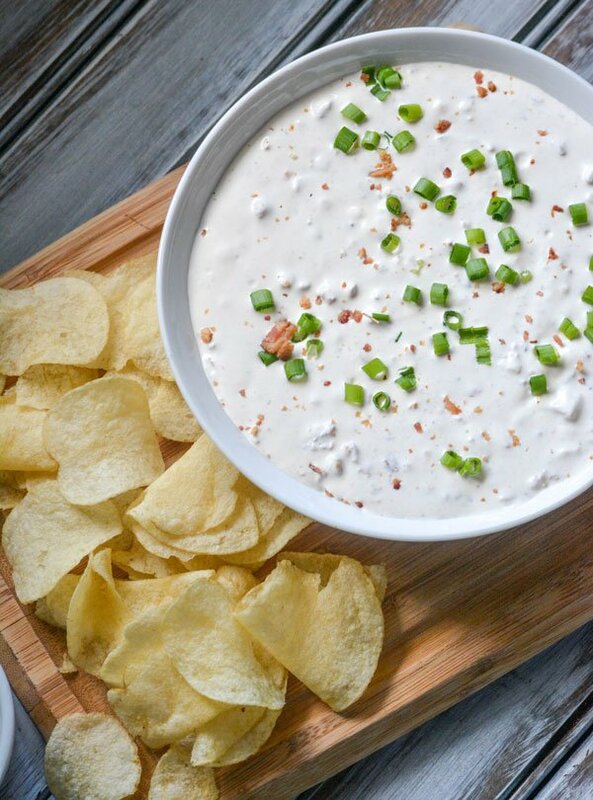 Well, you had me at bacon 😉 I love a good dip and will have to give this a try soon! Wow, Meaghan – this sounds amazing!! And perfect for Fiesta Friday too! Love the addition of horseradish – brilliant! I bet this is just full of flavor! I’m pinning it for the next football party. Mmmm I bet this would go great on a roast beef sandwich! I love dips! 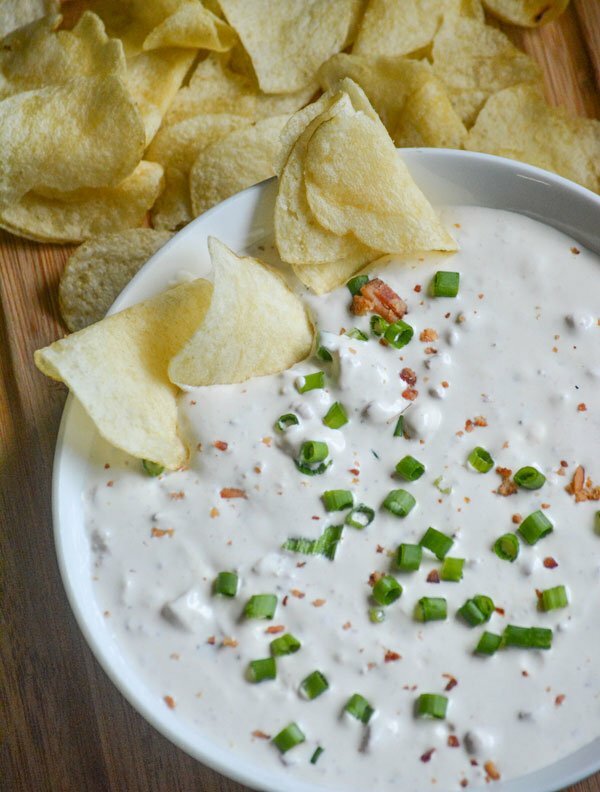 Can I skip the bacon in this dip and still make it? It looks delicious! Thank you for sharing this with us at Fiesta Friday!